Founded in late 2011 by former model and traveling enthusiast Stephanie Chai, this online luxury travel portal – a first of its kind in Asia – offers a curated selection of luxury hotels, resorts and villas at exclusive prices. 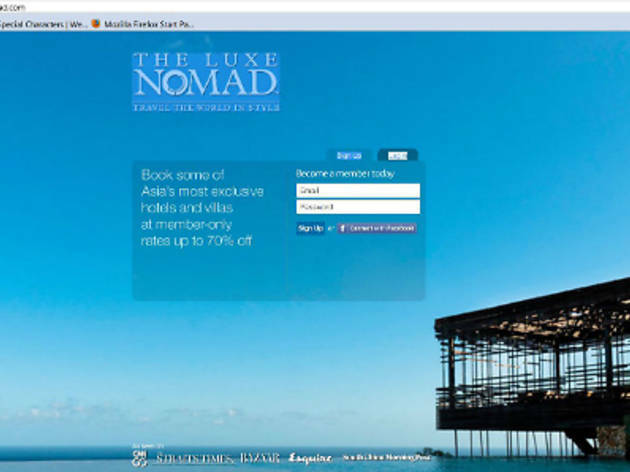 To use the site, you need to sign up as a member (free), whereupon you will receive a weekly update on new travel hotspots around Asia that offer discounts of up to 70% off the usual rates, usually only for a limited period (seven to 14 days). For inviting friends to join, you earn credit that can be redeemed at any of the partner hotels. What sets this travel site apart from the rest is its personal touch, with Asian celebs like Godfrey Gao, Dominic Lau, Allan Wu and Henry Golding, as well as industry experts, sharing their two cents' worth of weekend getaways and glamorous holidays. 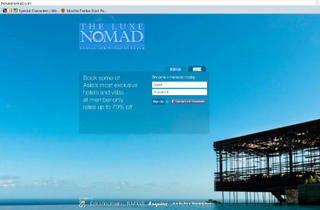 It's luxury travel without breaking the bank.